“WE have learned from various sources and confirmed with our doctor in charge of public health in Monieka that malaria has recently taken 406 lives, two thirds of them children under five years of age.” So we read in a February letter from the Disciples “Communaute” in Congo which appealed for prayers from the partner churches in the U.S. and Germany. One fifth of the children born in Congo die before age 5. According to the most recent figures, malaria accounts for 21 per cent of those deaths. While adults in Congo regularly experience “the fever” brought on by malaria and consider the illness no more serious than we do a common cold, for children with no resistance it is often fatal. 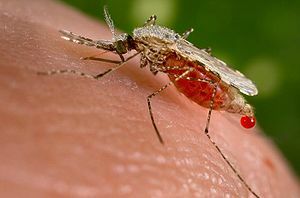 “When a child is born he has no resistance to malaria, and as soon as he is bitten by an infected mosquito will become symptomatic. If lucky enough to survive the first episode there will be a certain amount of resistance.” So wrote Dr. Johnson in response to my inquiry. We don’t know what might be behind the current rise of malaria deaths in Monieka. What we know is that the tragic consequences of the disease can be countered by vigorous, well funded preventive measures. What we do know is that neighboring Rwanda, whose government spends twice what Congo spends on public health, is among the eleven African countries where child mortality and malaria deaths are in significant decline. We know that the under five mortality rate in Rwanda is less than half the figure for Congo and that more inpatient deaths from malaria were recorded in Congo in 2009 than anywhere else in the world. And we know Dr. Eric Bosai continues his work as the only doctor at the Monieka Hospital. Dr. Bosai follows in the footsteps of the 1918 founder of the Hospital, pioneer Disciples missionary doctor Dr. Louis F. Jaggard. 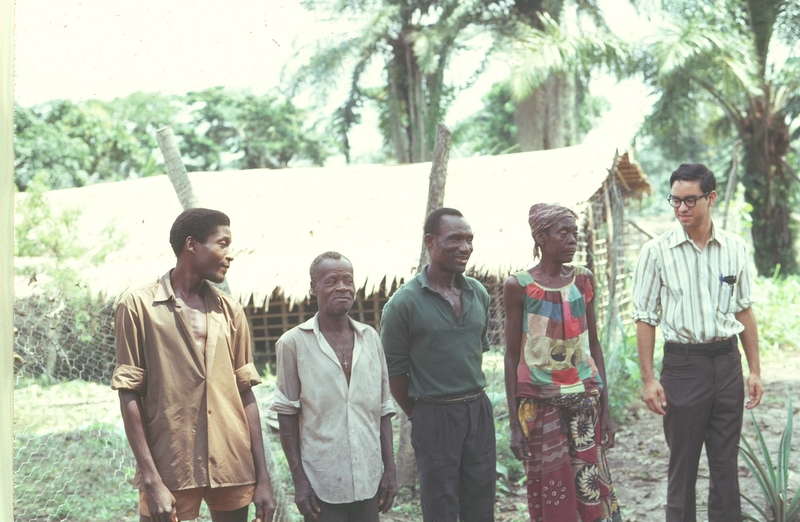 Since Dr. and Mrs. Jaggard retired in 1944, Monieka has remained an isolated Disciples mission post providing the only health and education service for a large area. 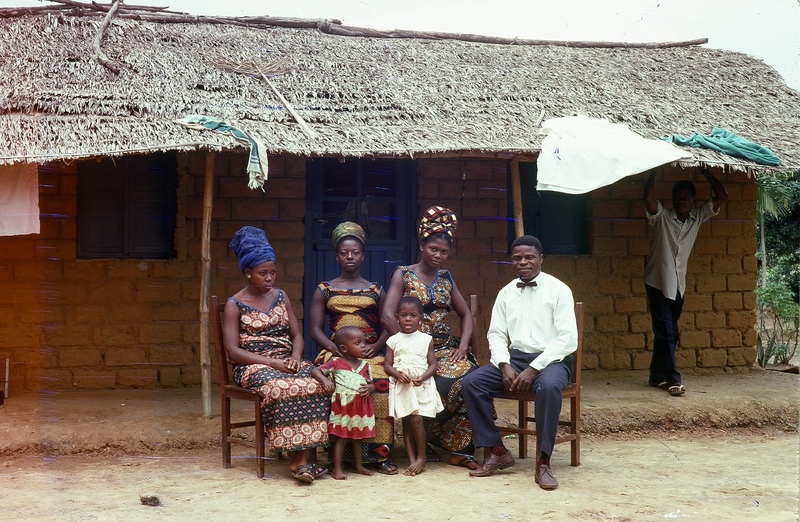 With their four school age children, Dr. Bosai’s wife lives in Mbandaka, a day’s journey from her husband. The monthly government subsidy amounts to less than $50 per month so most of Dr. Bosai’s salary is paid by a grant from the Global Ministries Department of the U.C.C. and Disciples churches in the U.S.. Eric Bosai’s father, Rev. 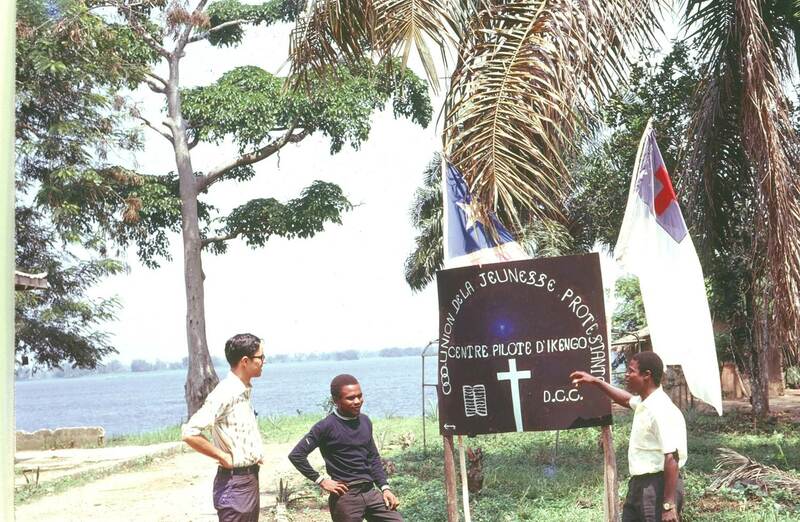 Thomas Bosai, headed the Disciples’ youth ministries before planting churches in the remote area of Opala, the first Disciples mission outpost in Orientale Province. 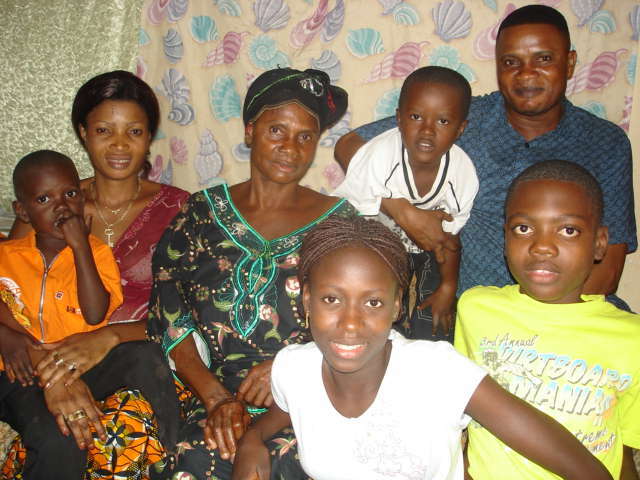 I lunched in Mbandaka with Thomas’ widow and their son and family in July, 2010. Son Eric’s determination to provide medical services for Monieka and lead that deprived population’s struggle against malaria and other diseases is worthy of our prayers and support. It’s a somber beginning to the new year in Congo. The hope for political change brought on by the nationwide election has been met by the repression and chicanery of the current administration. Cries of protest against the conduct of the election and the vote count have been muffled if not silenced by brute force. The leading opposition candidate for the presidency in the 2006 election (Jean Pierre Bemba) remains on trial in the International Criminal Court and the current opposition leader Etienne Tshisekedi languishes under virtual arrest in his home in Kinshasa. What will come out of the vote count, assisted by British and U.S. delegations, to seat the national legislature would seem to promise little for the economic prospects or the civil rights of the Congolese people over the next five years. Two widely circulated recent studies rank the Congo dead last on important scales of well being. The U.N. Human Development Index ranks the Congo 183rd among 183 of the world’s nations. And a grim article in The New York Times of January 2 reports on the International Food Policy Research Institute finding that hunger is widespread in Kinshasa and the country as a whole. The Institute found that the Congo is the only country where the food situation worsened from “alarming” to “extremely alarming” in the last year. Half the people in the country are under nourished. In reading The Times article focusing on hunger in Kinshasa, I kept thinking about Mbandaka Disciples pastor Frederic Lombe (featured in the last blog) telling me his one meal of the day comes in the evening. 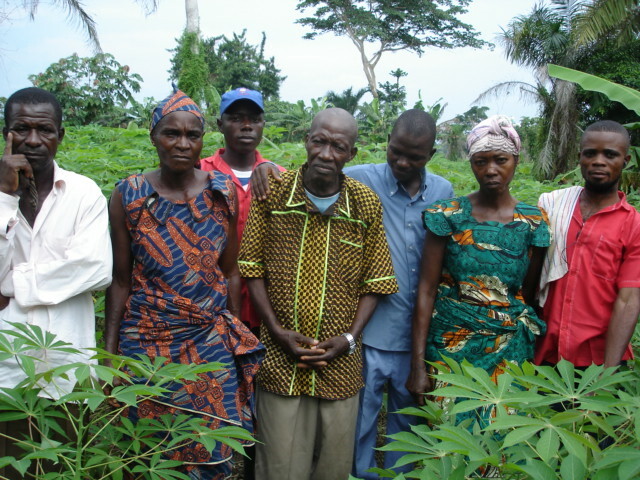 Agricultural development is neglected by the Congo’s government concluded the Institute. Its report noted that only one percent of the national budget is devoted to agriculture and the country now imports beans and other food that could be grown in Congo. The government’s priority has long been development of the nation’s minerals’ extraction operations. by many Disciples parishes are critical sources of food for the population in the surrounding area. For the parishes, sale of food grown is a leading source of funds for the education and health services of the parish. In the context of government neglect, the Church’s role in micro-economic development is also highlighted by the contributions of Church microcredit organizing to household budgets. A recent posting by Disciples Communication Director Nathan Weteto reported that many Church organized microcredit groups distributed earnings in November and December which enabled members’ households to celebrate the new year. A sum of $18,437 was shared at year’s end by the thirty plus members of the Mbandaka Disciples pastors’ wives group. This brought joy “in spite of the tumultuous situation in the country” in M. Weteto’s words. 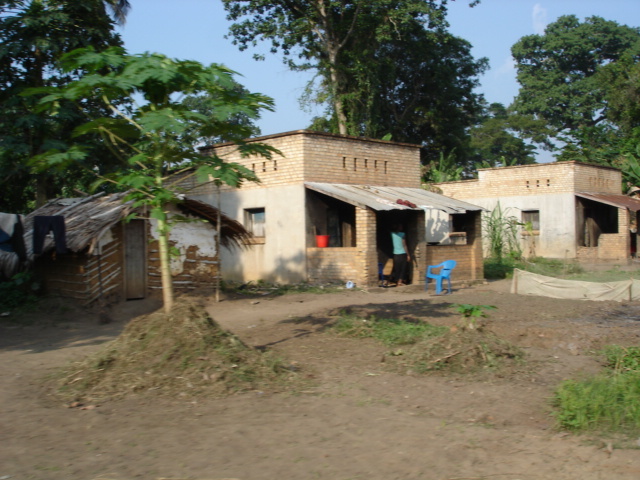 M. Weteto’s report last month of a new microcredit group in rural Boyeka projecting earnings of $2100 in six months and recent postings on building projects in two Mbandaka parishes remind us that there are in fact two Congos. There is a Congo struggling with despair and a Congo charged by hope and faith. There is a Congo riven by greed and conflict and a Congo united by a vision of sharing the abundance of a lavishly blessed land. There is a Congo weighted with doubt and a Congo celebrating the seeding of a new day. Text messaging may be banned today in Congo but there are some important messages that cannot and will not be silenced even in Congo. After massive deforestation of the Amazon and Indonesian rainforests due to plantation agriculture, economic growth in Congo is being stymied by some environmental groups’ opposition to any rainforest agriculture there. Palm oil production in particular has been held back in Congo by the debate now raging over any new large scale projects for biodiesel or other uses. In 2007, soon after the election of President Joseph Kabila in Congo, the Chinese company ZTE announced their investment of $1 billion for the cultivation of palm oil trees on 3 million hectares of Congolese soil. 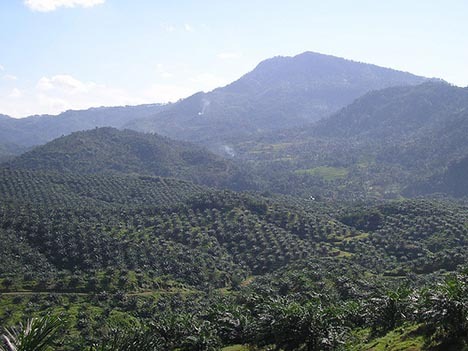 By 2009, the company had reduced the plan to one million hectares, with 90 % of the palm oil produced slated for biodiesel fuel. To date ZTE has not explained this considerable scaling back of their plan and has been slow to indicate how they will produce palm oil in Equateur, Orientale, West Kasai and Bandundu provinces. A stark sign of the decline of Congo’s agricultural sector is the fact that the country imported 15,000 metric tons of palm oil in 2007, the year the first ZTE China plan was announced. Imported, manufactured vegetable oil is now cheaper and more widely used in Congolese cooking than locally produced palm oil. Myself and others who return to Congo after many years are disappointed by how rare “moussaka”, the palm oil sauce, is now used for flavoring of chicken, fish and manioc leaf dishes. 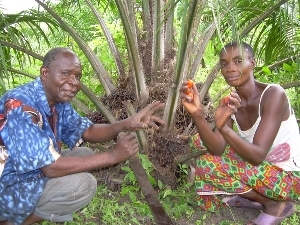 Tata et Mama Mbwanga showing off the first fruits of their palm oil trees across the river from the Baptist community's Vanga Mission. All who are concerned about the preservation of the Congo rainforest need to keep in mind two facts about Congo’s palm oil production. 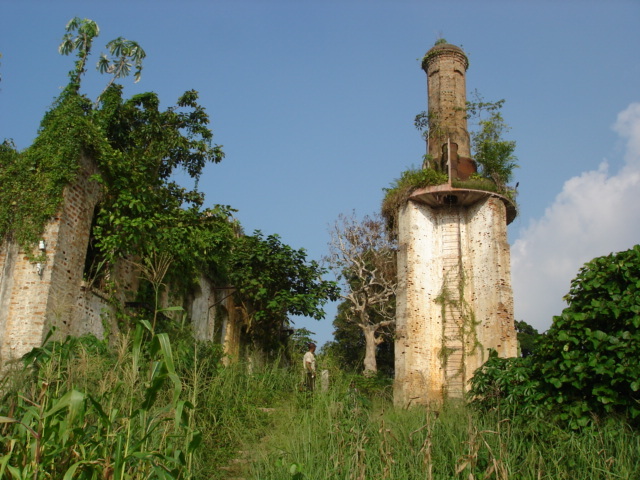 First is the fact that there are thousands of hectares of abandoned palm oil plantations in the country. No cutting of the rainforest is needed for the revival of the industry in Congo. The second fact about palm oil cultivation in the country is the contribution of small householder plots to the historic growth of the crop in Congo and elsewhere. According to the Cambridge World History, at the close of the Belgian colonial era, smallholder plots under palm oil cultivation totaled 98,000 hectares while plantations covered 147,000 hectares. Today, Indonesia produces one third of the world’s palm oil and half of it comes from farmers cultivating fewer than 5 hectares. Greenpeace International, whose Kinshasa office has led in opposing illegal logging of rainforest timber in the country, backs smallholder and plantation cultivation of palm oil in Congo on land that has already been cleared. With only 4 per cent of cleared land in Congo now under cultivation, the country has the potential to produce palm oil for foodstuffs and biodiesel as well as preserve the most pristine, least “developed” rainforest in the world. We can applaud and should support the Congo Disciples plan to convert its coffee plantation in Bokungu to 20 hectares of palm oil production and the Boyeka post‘s palm oil project which is intended to fund education and health programs of the Church. 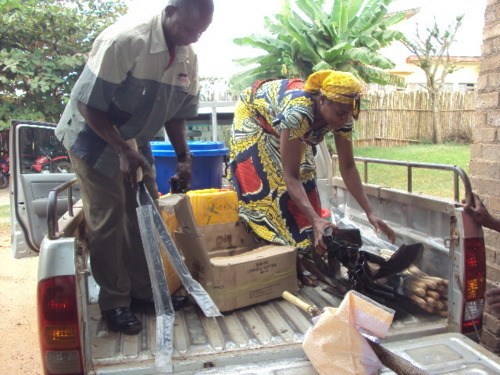 For several years now, the Baptist community of the Church of Christ of Congo has been promoting palm oil cultivation with provision of seeds and training near their historic post of Vanga. Disciples President Rev. 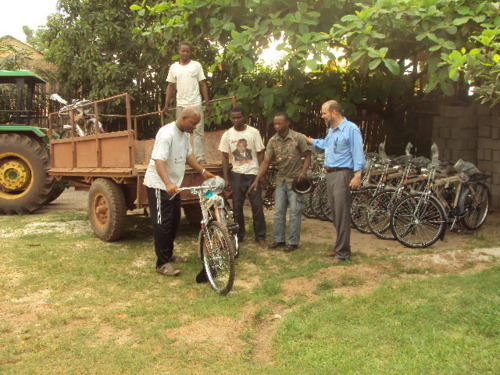 Eliki BONANGA checks one of the bikes destined for a Tshuapa region church leader. Paul Williams is in the blue shirt. Today we celebrate the imminent delivery of over twenty bicycles to the Regional Ministers and other leaders of Disciples parishes along the Tshuapa River. 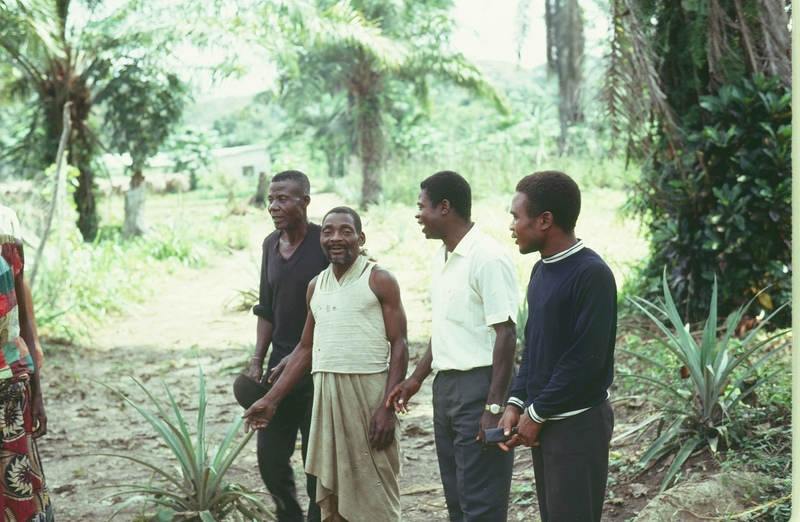 The aid and counsel of the PSP (“Pasteur Surveillant Principal” or Regional Minister) for the villagers and their parish catechist in this vast territory has been severely handicapped by the lack of transportation. Now, it is likely that the silvery tinkle of the bicycle bell will soon become a familiar sound in even the more remote villages. It is appropriate that the bicycles will be distributed by Paul Williams, son of Disciple missionaries who served in the Tshuapa in the 1950’s. Church leaders continue to be inspired by the example of missionary church administrators who spent multiple days in the “bush” on tours of the fledgling village parishes. 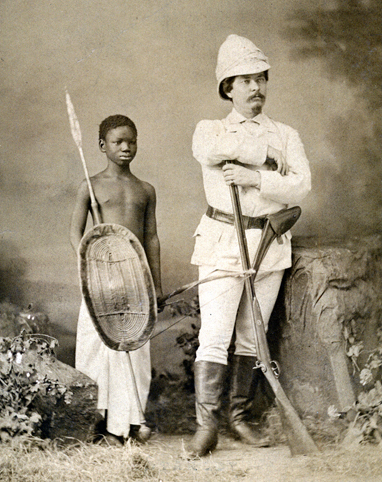 Williams’ son Paul, who is writing the history of the Disciples in Congo from the 1898 arrival to the present, reports from Mbandaka that he left June 24 on a journey that will take him to all the Disciple “posts” – Boende, Wema, Bokungu, Mondombe and Ikela – on the Tshuapa. and consider that between the towns of Boende and Ikela on the map, the Disciples headquarters in Mbandaka is solely responsible for overseeing and resourcing schools, hospitals and health clinics. There is a government sponsored hospital in Boende but no other government run health service for the Tshuapa’s people and the Roman Catholics, the dominant form of Christianity in Congo, are not present in this Region. Paul Williams will celebrate his birthday in Mondombe perhaps with a visit to the hospital where he was born 58 years ago. No doubt his joy on the occasion will be immeasurably increased by his success in fund raising for the purchase of the bicycles. A Korean Presbyterian Church in Omaha, where Paul teaches at the University of Nebraska, gave the largest amount. Among the contributors was Paul’s office assistant who chipped in funds for one bicycle.